Bromsgrove currently has a fast growing population with it's excellent links to the A38 through the town, the M5 Motorway to the west and the M42 Motorway starting at the north of the town. Bromsgrove also benefits from a relatively low crime rate. And is now becoming more of a Commuter Town as many residents find employment in Birmingham, Redditch, Worcester and other places along the motorway network. The New Business Parks in Aston Fields, Buntsford Hill and Harris's Business Park are helping to revitalise the local economy. Bromsgrove is home to Bromsgrove Rugby Football Club (One of the oldest Clubs in the country) as well as Bromsgrove Rovers F.C. and Bromsgrove and Avoncroft Cricket Clubs. There are many sports and leisure activites that you can take part in yourself in and around Bromsgrove. If you fancy a Swim or a Game of Badminton then you can try these out at The Dolphin Leisure Centre, or if you like to Run then get yourself down to the Ryland Centre. There are also many Dancing schools, Tae Kwon Do, Riding Schools and Golf Clubs. Something for everyone. 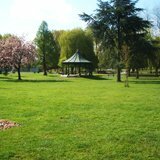 There are many attractions in Bromsgrove the beautiful Sanders Park with it's newly refurbished Basketball Court, Play Area and Skate Park, which holds many events throughout the year. Also there is The Avoncroft Museum of Historic Buildings which is an Open- Air Industrial and Architectural Museum located in Stoke Heath, which has many activites throughout the year for all ages. If you like walking there are many Public Footpaths around Bromsgrove which take you deep into the heart of the countryside. 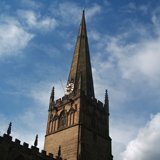 Bromsgrove is also close to the Lickey Hills, Clent Hills, Waseley Hills and to Rural Worcestershire and Birmingham. Bromsgrove has a pedestrianised shopping area in the town centre. You will find Mens and Ladies Fashion Shops, Moblie Phone Shops, Hairdressers and Beauty Salons, Jewellers, DIY Stores, Sports Goods everything to fulfil your lifestyle needs.